KHA had an outstanding legislative session this year. All of our priority bills passed unanimously and were then signed by the Governor! This success was made possible through the collective efforts of the members and your assistance in contacting your local legislators. February 21, when the 2019 Kentucky General Assembly heats up, KHA will host its annual Hospital Day at the Legislature for the perfect opportunity for hospital leaders to meet one-on-one with their legislators. Hear from policy makers and lawmakers about the legislation that will affect your hospital, then meet in person with your senators and representatives to ensure they are educated about how their work in Frankfort will impact your facility and the community you serve. Members should schedule their one-on-one meetings with their legislators directly with each legislator. See the Members Only General Assembly resources page for contact information. 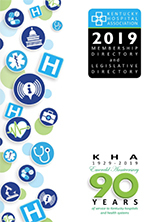 The 2019 KHA Legislative Platform will be presented to the Association membership for approval at the annual KHA Health Care Leadership Conference (HCLC) on November 9 at the Louisville Marriott East. Governor Bevin’s Executive Cabinet Secretary Scott Brinkman will report from the Executive Branch on health care, Medicaid, the drug epidemic and other challenges facing the commonwealth. Leaders of the Kentucky Senate and the Kentucky House of Representatives will reveal plans for the upcoming session and how health care factors into their parties' agendas. A media panel will address the hot topics associated with the 2019 session of the Kentucky General Assembly, the future of politics in Kentucky and its impact at the state and federal levels. KHA is urging the Kentucky congressional delegation to sign a bipartisan Dear Colleague Letter that is being circulated in Congress by the House Ways and Means Committee. The letter deals with CMS’ proposal to make major changes to the system under which patients are functionally assessed and classified under Medicare. This impacts the Medicare patients that need inpatient rehabilitation care and the seven freestanding and 11 hospital-based rehabilitation units (IRFs) in Kentucky’s hospitals who care for and rehabilitate patients who have experienced major medical events such as traumatic brain injuries, strokes and spinal cord injuries. Timely visits were held with the Kentucky congressional delegation and staff in Washington, D.C., on July 12-13, by a team of KHA members and staff advocating for Kentucky’s hospitals. The visits were held a day after the U.S. House Energy and Commerce Health Subcommittee held hearings on the 340B Drug Discount Program, in which seven bills that have been introduced (and eight bills without named sponsors and yet to be introduced) were discussed. Some of the legislation is supportive of the 340B program and some favors the pharmaceutical industry. Most new laws approved during the Kentucky General Assembly's 2018 session will go into effect on Saturday, July 14. KHA’s priorities all become effective on July 14, except for SB 112 (Alvarado), telehealth legislation, which contained a special effective date of July 1, 2019. The Kentucky Constitution specifies that new laws take effect 90 days after the adjournment of the legislature unless they have a special effective date, are general appropriations measures, or include an emergency clause that makes them effective immediately upon becoming law. Final adjournment of the 2018 Regular Session was on April 14, making July 14 the effective date for most bills. The American Hospital Association (AHA) will hold its annual meeting in Washington D.C., May 6-9. The AHA Luncheon starts on Sunday, May 6 at noon. KHA has booked a block of rooms at Kimpton Hotel Palomar for KHA members planning to attend. If you wish to stay at the KHA host hotel, at your expense, please complete the AHA Hotel Reservation Form and return to Claire Arant at KHA (carant@kyha.com) by Friday, March 30. The reservations will be submitted to the hotel by KHA. The KHA Legislative Committee will meet on Tuesday, May 7, and participants will meet with their U.S. legislators during Capitol Hill appointments on Tuesday and Wednesday, May 7 and 8. Please, register online at www.aha.org to attend the conference. Please register today for the KHA Hospital Day at the Legislature on February 22 at 8:00 a.m. (ET). The event begins with breakfast at the Frankfort Country Club. Adam Meier, deputy chief of staff for the Governor’s Office, will discuss the implementation of the 1115 Medicaid Waiver; Senator Ralph Alvarado, MD and Representative Addia Wuchner will discuss key health legislation before the General Assembly; and Brandon Smith, executive director of Kentucky’s Cabinet for Health and Family Services (CHFS), will discuss the Cabinet’s priorities. Members will go to the Capitol at 10:15 a.m. to meet with their legislators. Attendees are asked to make appointments accordingly. Live video will be available on December 13 at 10:00 a.m. (ET) when the U.S. Senate Health Committee will hold a hearing on the mental health provisions of the 21st Century Cures Act. The committee will hear from Dr. Elinore McCance-Katz, Assistant Secretary for Mental Health and Substance Use at the Department of Health and Human Services. At KHA's Health Care Leadership Conference, the KHA membership approved the 2018 Legislative Priorities for the upcoming General Assembly Session. A document outlining all the priorities is now available on the Advocacy section of www.kyha.com. The Tax Cuts and Jobs Act, H.R. 1, was released and is being debated this week in the U.S. House Ways and Means Committee. There is a significant problem for the Kentucky not-for-profit hospitals included in the bill. The proposal would eliminate the tax-exemption for private-activity bonds (PABs), including qualified 501(c)(3) hospital bonds and advance refunding bonds. The ability to obtain tax-exempt financing is a key benefit of hospital tax-exemption that works to make access to vital hospital services available in communities large and small across the commonwealth. Thanks to Kentucky Congressmen Hal Rogers, James Comer and John Yarmuth for signing a Dear Colleague letter urging the Centers for Medicare and Medicaid Services (CMS) to abandon its proposal to reduce Medicare Part B payment for drugs acquired through the 340B Drug Pricing Program. "Given the important role that the 340B program plays in our communities, we strongly urge CMS to abandon this proposal and redirect its efforts toward actions to address the cost of drugs via other policies that would not harm our constituents," the representatives wrote. CMS has proposed to pay for separately payable, non pass-through drugs purchased through the 340B program at the average sales price (ASP) minus 22.5%, rather than the current rate of ASP plus 6%. Two hundred twenty-eight members of the House of Representatives signed the letter to CMS. Eighty-five Kentucky hospitals qualify to receive 340B discounted outpatient drugs. Please join KHA in thanking Congressmen Rogers, Comer and Yarmuth. The 2018 KHA Legislative Platform will be presented to the Association membership for approval at the annual KHA Health Care Leadership Conference (HCLC) on November 3 at the Embassy Suites Lexington. Governor Matt Bevin was joined by state legislators and officials from St. Elizabeth Florence on Wednesday, as he ceremonially signed recently enacted Senate Bill 42. Sponsored by Senator John Schickel, SB 42 permits a law enforcement officer to make an arrest for assault in the 4th degree, when the violation occurs in a hospital and the officer has probable cause. Sal Santoro, a city police department representative, Senator John Schickel, St. Elizabeth Healthcare President Garren Colvin, a sheriff's department representative and Governor Bevin. A KHA team lobbied the Kentucky congressional delegation on July 13-14 at their Capitol Hill offices in Washington, D.C. KHA Legislative Chair Nina Eisner, along with Sherri Craig, KentuckyOne Health; Rosanne Nields, St. Elizabeth Healthcare; Riggs Lewis, Norton Healthcare;Lourdes Baez, Baptist Health; David Critchlow and Alan Larson, LifePoint Health; KHA President Mike Rust and Vice-President Sarah S. Nicholson, met with all the members and staffs of the Kentucky delegation to discuss the ACA repeal and replacement legislation, including the American Health Care Act (AHCA) and the Better Care Reconciliation Act (BCRA), and other key issues. The revised BCRA was introduced in the Senate while the group was on Capitol Hill. Yesterday, Governor Matt Bevin, joined by state legislators and constituents, ceremonially signed more than a dozen pieces of recently enacted legislation at the State Capitol. Among the acts signed were House bills (HB) 128 and 161 and Senate bills (SB) 4 and 79. SB 4 requires peer review of medical malpractice complaints by medical review panels before medical malpractice cases can go to court. A complaint can bypass the panel and go directly to court only by agreement of all parties. Photo (left to right): KHA President Mike Rust; KHA Vice President of Health Policy Elizabeth Cobb; KHA Legislative Committee Chair Joe Koch; Governor Matt Bevin; Senator Ralph Alvarado (SB 4 sponsor); KHA Vice President of Government Relations Sarah S. Nicholson; and KHA Board Chair Susan Starling. All KHA members are invited to join their colleagues and the KHA staff on an Advocacy Trip to Washington on July 13-14. Your help and support is needed on this trip! With Senate actions pending on the ACA Repeal and Replace legislation with the American Health Care Act (AHCA), proposed Medicare DSH changes and other threatened cuts to hospital payments, 340B Drug Discount Program, Rural programs authorization extension needed, IMD and other key issues up for discussion it is imperative that Kentucky hospitals stay in constant contact with the members of the congressional delegation. Attendees will travel to Washington on July 13, arriving for a lunch briefing at AHA and meetings on Capitol Hill with Kentucky Senators and Congressmen that afternoon. On the morning of July 14, there will be more Capitol Hill delegation appointments and KHA will host the health staff of the congressional delegation for a lunch briefing at 11:30 a.m. Members can depart after 1:00 p.m. (ET). KHA is grateful the support of the membership during the 2017 Kentucky General Assembly. When hospitals combine their strength and collectively express their concerns to elected officials, more can be accomplished. A special thanks goes to KHA Legislative Committee Chair, Joe Koch, whose term ends July 1, for successfully leading the Committee for the last four years. Thank you, Joe, for your outstanding guidance and leadership throughout these important and challenging years of legislation and regulatory changes at both the state and federal levels. Medical malpractice lawsuits can now be filed in Kentucky at any time, but under a bill passed narrowly yesterday by the Kentucky House, peer review of malpractice cases would be required before they could go to court. “Medical review panels” proposed under Senate Bill 4, sponsored by Senator Ralph Alvarado (R-Winchester) would be required to review any malpractice complaint against a health provider before a case based on that complaint could be filed in court. Representative Robert Benvenuti (R-Lexington) stated SB 4 “provides a balanced, unbiased and thoughtful approach for both patients and health care providers” when he presented the bill to the House on March 1. SB 4, which passed the House 51-45, would provide mediation on the “front end” of the medical malpractice process to expedite the process and balance it out, Benvenuti noted. After the meetings with legislators, KHA will host a luncheon for all KHA members and legislators at the Capitol Annex from 12:00 p.m. to 1:45 p.m. KHA members are encouraged to contact their legislators and personally invite them to the luncheon. The Legislature goes into session at 2:00 p.m.
Kentucky's U.S. Congressmen Andy Barr, Thomas Massie and Hal Rogers signed the House of Representatives Dear Colleague letter and Senator Mitch McConnell wrote his own personal letter to the Centers for Medicare and Medicaid Services (CMS) urging the importance of flexibility during the proposal to implement part of the Bipartisan Budget Act (BiBA) of 2015 concerning the treatment of off-campus outpatient departments. The letters expressed concern that implementation of the rule could seriously impact rural states, such as Kentucky, and would limit access to care in already underserved areas. Please take the time to thank the Senator and your Congressman for their support of hospitals in Kentucky. If you have any questions, contact Sarah S. Nicholson at KHA (snicholson@kyha.com). The final meetings of the KHA Summer Series of Congressional Meetings will be held October 17 and November 3 in the fourth and fifth congressional districts. The 2017 KHA Legislative Platform will be presented to the Association membership for approval at the annual KHA Health Care Leadership Conference (HCLC) on November 11 at the Louisville Marriott East. The November general elections will have a huge impact on health care, and this year's Conference is being held three days later, an ideal time for you and other Kentucky hospital leaders to learn how the new President and his/her administration will change health care. State and national political experts will discuss the balance of power of who controls Congress and the Kentucky legislature, and how that will impact the future of health care and impending federal and state health care legislative and regulatory issues. After a request from KHA and its members, three U.S. Congressmen from Kentucky (Andy Barr, Thomas Massie and Hal Rogers) have signed onto the Tiberi-Kind “Dear Colleague” letter pertaining to CMS policies on alternative payment models (APMs). KHA is grateful for their support. The Chairman Pat Tiberi and Congressman Kind Dear Colleague letter urges the Centers for Medicare and Medicaid Services (CMS) to provide health care providers more regulatory relief and flexibility under APMs like bundling, the “CJR” program for joint replacement, accountable care organizations and other models intended to move health care delivery away from site-specific, fee-for-service reimbursement. CMS has the authority to waive numerous rules and statutory provisions in these alternative care delivery and reimbursement models, yet with few exceptions it has not done so. All KHA members are invited to attend the KHA Legislative Committee meeting on September 14, from 10:00 a.m. (ET) through a working lunch, at KHA Headquarters in Louisville. The meeting will begin with guest speaker Medicaid Commissioner Steve Miller updating attendees on the 1115 Medicaid Waiver. You will have an opportunity to ask him any questions that you may have about the waiver. Members will discuss state issues and take positions on legislation to recommend for inclusion on the KHA Legislative Platform. Representative Joni Jenkins (D-44), the House Appropriations and Revenue Human Resources Subcommittee chair, will be the luncheon speaker to discuss the state budget and Medicaid funding. Since there may be legislation to change the Medicaid Disproportionate Share Hospital (DSH) program payment this session, this is a great opportunity to educate Representative Jenkins on the need for keeping the Medicaid DSH payments at the highest level allowed by federal law. KHA is hosting its Summer Series of Congressional Meetings in the congressmen’s districts to provide members the opportunity to stay in contact locally with the Kentucky congressional delegation and discuss important legislative and regulatory issues currently before the U.S. Congress that are critical to Kentucky’s hospitals. With the nation’s health care system in transformation to delivery systems that are driven by new payment models, hospitals must stay in contact with their Congressman to let him know how these changes will impact your hospital, and this meeting provides you with the opportunity to discuss your issues and concerns. On Tuesday, June 28, Spring View Hospital in Lebanon hosted a ceremonial signing for SB 20, KHA's top priority for the 2016 legislative session. KHA is grateful for Governor Matt Bevin's insight into the issues facing hospitals and is pleased to have this new Medicaid managed care organization appeals process in place. KHA President Mike Rust represented the Association at the event and was joined by Lieutenant Governor Jenean Hampton and Senator Jimmy Higdon as the Governor signed this important legislation. As the 2016 Kentucky General Assembly session is coming to a close, KHA is excited to share the news that Governor Matt Bevin has signed SB 20 into law. This was KHA’s top priority during this legislative session and its passage is a huge victory for Kentucky’s hospitals. This legislative session could not have been a success without the hard work of all the Association's membership. Your advocacy was invaluable. SB 20 Passes House Unanimously - Thank Your Legislators Today! SB 20, KHA’s priority legislation, passed the House yesterday by a unanimous vote. The legislation gives Kentucky’s medical providers a pathway to external, independent appeals of denied Medicaid managed-care claims. The bill is now on its way to Governor Matt Bevin for his signature. Please, take a moment to contact your legislator personally and thank him or her for their support. The American Hospital Association will hold its annual meeting in Washington, DC, May 1-4. KHA has booked a block of rooms at The Hotel Palomar for KHA members planning to attend. If you wish to stay at the Hotel Palomar, please complete the AHA Hotel Reservation Form and return to Carol Walters at KHA (cwalters@kyha.com) by Friday, March 4. The reservations will be submitted to the hotel on Monday, March 7. On February 12, KHA submitted comments to the U.S. House Energy and Commerce Committee regarding site-neutral payment policies in response to a request from the Committee to the health care community for input. The Association expressed concern over payment proposals that would reimburse hospitals at the same payment rates of facilities with lesser clinical capabilities. Since the costs of operating hospitals, which are the safety nets for so many communities, are much higher than other medical facilities, and Medicare and Medicaid reimburse providers at a much lower rate than the cost to care for patients, KHA urged the Committee to reject any further site-neutral payment policies. KHA expressed disappointment in Section 603 of the Bipartisan Budget Act of 2015. The law would result in substantial reductions in payments for services furnished in provider-based hospital outpatient departments (HOPDs) and prevent beneficial outpatient services from being developed. The KHA Hospital Day at the Legislature will be held on Thursday, February 25 at the Frankfort Country Club, 101 Duntreath Street, in Frankfort. Registration will begin at 7:30 AM ET, with breakfast starting at 8:00 AM, ET. Confirmed speakers include Cabinet for Health and Family Services Secretary Vickie Yates Brown Glisson and Senator Dr. Ralph Alvarado, the sponsor of SB 20, the MCO appeals process legislation. The program will begin at 8:15 AM, ET and will adjourn by 10:15 AM, ET so members can go to the Capitol to meet with their legislators. All members are asked to schedule their own appointments with their legislators. The AHA Annual Meeting is scheduled for May 1-4 in Washington, DC. You can register online for the meeting now. KHA will have information available soon on the KHA host hotel and planned meetings specifically for the KHA members who attend the national meeting. Make your plans now to attend! Details on the AHA conference are available at http://www.aha.org/advocacy-issues/annual-meeting/index.shtml. KHA's priority legislation, SB 20, addresses the need for a Medicaid managed care organization (MCO) appeals process. Nina Eisner, CEO of Ridge Behavioral Health System in Lexington, testified before the Senate Health and Welfare Committee on January 13 and gave examples of why this legislation is desperately needed. On November 13, the KHA Health Care Leadership Conference brought Kentucky’s political leaders together with hospital leaders from throughout the state to learn about the issues that will affect hospitals in 2016. Members heard from the Republican and Democratic state party leaders about upcoming legislation and plans for the new administration. The media panel provided an interesting and informative analysis of the recent elections, which provided great insight into the political climate of the commonwealth. KHA members also approved the Association’s legislative priorities for the upcoming session of the Kentucky General Assembly. KHA is pleased to share that the problematic proposed Certificate of Need (CON) Formal Review regulation, 900 KAR 6:070, has been withdrawn! Thank you to all hospital leaders that responded to the Action Alert last week and made calls to your legislators! You were very effective. The proposed regulation would have weakened Kentucky’s CON process substantially. In summary, the proposed changes would have defied statutory law requiring the State Health Plan criteria and population/geographic need to be considered as separate criteria in an application. Under the proposed regulation, if an applicant had met the State Health Plan Criteria (even under an exception to need criteria) they would have been consistent with overall need. This change would have shifted the burden of proving need from the applicant to disproving need by a challenger. The formal review regulation will revert back to the language in place prior to the proposal, which KHA supports. KHA Health Care Leadership Conference to Discuss Changes in Store for State Government After Election - Register Now! The results of the Kentucky General Election are in and, with Governor-Elect Matt Bevin carrying 106 counties, there will be change and a new agenda in Frankfort. It is even more important than ever that you participate in the 2015 KHA Health Care Leadership Conference on November 13, 2015, from 8:15 a.m. to 1:30 p.m. (ET), at the Louisville Marriott East. Details and registration information are available at http://www.new-kyha.com/Portals/5/EventBrochures/HCLC2015.pdf. KHA Health Care Leadership Conference is Next Week! KHA staff hopes you can participate in the 2015 KHA Health Care Leadership Conference on November 13 from 8:15 a.m. to 1:30 p.m. (ET) at the Louisville Marriott East. Details and registration information are available at http://www.new-kyha.com/Portals/5/EventBrochures/HCLC2015.pdf. The KHA Health Care Leadership Conference will be held November 13 at the Marriott Louisville East. The agenda and registration information will be available soon, so mark your calendar now and plan to attend. The event will feature Kentucky House and Senate leaders who will discuss the state's new administration and important legislative issues. A media panel will highlight the results of the November elections, and Charlie Cook, editor and publisher of the Cook Political Report and columnist for the National Journal, will headline the luncheon. The Conference is a great way for hospital chief executive officers, board chairmen, trustees, other hospital administrators, government relations staff and medical staff members to stay informed of legislation that may affect their facilities. If you have any questions, please contact Sarah S. Nicholson at KHA (snicholson@kyha.com). KHA will co-host a Kentucky Rural Health Association event where attendees can meet with this year's gubernatorial candidates. The Kentucky Candidate Forum will be held September 18 from 11:30 a.m. to 3:00 p.m. at the WKU Knicely Conference Center in Bowling Green. Both Matt Bevin and Jack Conway are invited to speak at the event and field questions from the attendees. The event includes a free luncheon for registered attendees. For information on the agenda and registration, please visit http://krha.wildapricot.org/event-1984373. Charles Lovell, Jr., FACHE, chief executive officer of Caldwell Medical Center in Princeton, is participating in a walk to bring attention to rural hospitals that are under threat of closure. Last year, the mayor of a small North Carolina town walked to Washington, DC to highlight the struggles his town faced after the closure of its hospital. This year, representatives from across the country will join him on the 283-mile walk (one mile for each of the rural hospitals the organizers say are under threat of closure because of federal policy). On the morning of June 15, the walkers will arrive at the Capitol, where they will hold a rally and speak with legislators. KHA will host an advocacy trip to Washington, DC, on July 16 -17 for Kentucky hospital leaders. Participants will meet with the Kentucky congressional delegation at their Capitol Hill offices on Thursday, July 16 and will host a luncheon meeting and briefing for the health aides on Friday, July 17. This is an excellent opportunity to meet with your federal legislators to share the challenges Kentucky hospitals are facing. If you are interested in attending, or want more information, please contact Sarah S. Nicholson at KHA (502-426-6220 or 800-945-4542 or via email at snicholson@kyha.com). KHA has published its final report on the 2015 Kentucky General Assembly Session. The report was sent to hospital chief executive officers this week. With the close of the 2015 Session, few issues that are important to Kentucky’s health community received passage. However, many important priorities were protected and maintained – certificate of need and the Medicaid Disproportionate Share Hospital (DSH) program were maintained and there was no increase in the hospital provider tax. Comprehensive legislation to deal with the heroin problem in Kentucky passed this session. It includes more treatment options for addicts seeking help, including more services to be delivered by hospitals. SB 192 passed the General Assembly just hours before adjournment of the 2015 Session, was signed into law by Governor Steve Beshear later that morning and became effective immediately as it included an emergency clause. The KHA Hospital Day at the Legislature has been scheduled for Thursday, February 26, beginning with registration and breakfast at 7:30 a.m., ET at the Frankfort Country Club, 101 Duntreath St., in Frankfort. Governor Steve Beshear has confirmed that he will speak that morning. Additionally at the meeting, Kentucky State Auditor Adam Edelen will present his report on rural hospitals. Also confirmed to speak is Senator Ralph Alvarado, sponsor of key legislation for hospitals. The program will begin at 8:15 a.m. and adjourn by 10:15 a.m. at which time members are asked to go to the Capitol and meet with their legislators. Please click this link and complete the registration form to attend. All members are asked to schedule their own appointments with their legislators. KHA Legislative Bulletins are available via e-mail. Is everyone receiving them who should? With the session underway, now is a great time to make sure you are receiving copies of the KHA Legislative Bulletins. All are made available on the KHA Website under the "advocacy" tab. Click the following hyperlink for a copy of the January 12 Bulletin. If you have any questions, or if you would like to register others to receive the KHA Legislative Bulletins, please contact Denise Amburgey at KHA (502-426-6220 or 800-945-4542 or via email at damburgey@kyha.com). As health care experts, you are the best voices to educate decision-makers on the solutions available to improve Kentucky's poor health status. Join KHA for a training that will delve into how health advocates raise the level of awareness on important issues such as smoke-free policies. The free training will be held at KHA on Thursday, December 4 at 12:30 p.m. (ET). Then stay and learn the KHA Legislative Priorities for the 2015 Kentucky General Assembly. The meeting will conclude with a press conference to communicate Kentucky hospitals' support for a statewide law to restrict indoor smoking in public places and work places like restaurants and bars. Based upon a request from the KHA Strategic Planning Committee, the Association is a creating a new Action Alert System for its members. If you have not already signed up by creating an account with Reach Alert, please take a moment to find the email from Ginger Dreyer at KHA on October 8 with your personal registration code. Or, contact Ginger at KHA (502-426-6220 or 800-945-4542 or via e-mail at gdreyer@kyha.com) to obtain your personal registration code. The KHA Action Alert System will advise you of breaking, time sensitive information and of pending legislation, changes in the law or other situations that require your immediate attention. You will get to decide how you wish to receive alerts: cell phone text messages, automated voice call to a cell phone and/or email. In an effort to spread the word and to make sure that health care providers (and school personnel) are familiar with the Caregiver Authorization Law, KHA is alerting hospitals that when caregivers come in and present an affidavit stating they are the primary caregiver of the child, that health care treatment is then authorized. The law was passed last year (SB 176) and it allows a relative caregiver to sign an affidavit to access key services for the children in their care without the need for legal custody or guardianship. Caregivers can complete an affidavit, under penalty of perjury, stating that they are the primary caregiver of the child, and then by presenting the form, they can authorize health care treatment, educational services, and school enrollment. 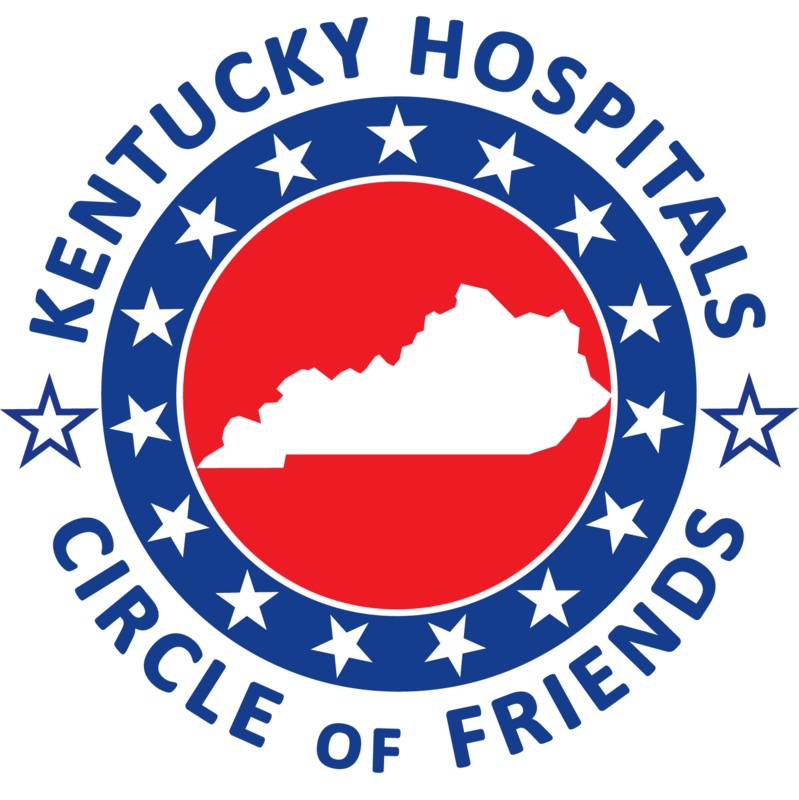 The Kentucky Hospitals' Circle of Friends is the political action committee (PAC) of the Kentucky Hospital Association. Circle of Friends supports candidates in Kentucky's elections and supports federal candidates through the American Hospital Association Political Action Committee (AHAPAC). Hospital PACs are limited to soliciting contributions from the hospital "family." KHA and American Hospital Association can only accept contributions from people associated with its members. If your hospital has not started its 2014 Kentucky Hospitals Circle of Friends Campaign, please consider doing so. The trifold brochure can be used to get started. Make plans to attend the KHA Fall Series meeting with Congressman Ed Whitfield on Wednesday. This meeting provides KHA members the opportunity to stay in contact with Congressman Whitfield locally and discuss important legislative and regulatory issues currently before the U.S. Congress that are critical to Kentucky’s hospitals. Congressman Whitfield is a senior member on the House Energy and Commerce Committee that has jurisdiction over programs authorized under the Social Security Act including Medicaid, Medicare Part B, child health, long term care and peer review. The committee also oversees programs authorized under the Public Health Service Act including hospital construction, biomedical research, allied health and nurse training, mental health research, drug abuse, alcoholism and HMOs. It is vital to make sure Congressman Whitfield understands the impact of these programs on the hospitals in his district. The KHA Health Care Leadership Conference will be held on Friday, November 14 at the Marriott Louisville East. The Health Care Leadership Conference is a great way for hospital chief executive officers, board chairmen, trustees, other hospital administrators, government relations staff and medical staff members to stay informed of legislation that may affect their facilities. The conference will present the latest in state and federal legislative issues and regulatory concerns from the Kentucky General Assembly. Additionally, State Auditor Adam Edelen will give a preliminary report on the stability of rural hospitals from the 14 public hearings that were held around the state. Kentucky Cabinet for Health and Family Services Secretary Audrey Haynes will discuss Medicaid managed care, Medicaid expansion, kynect, Certificate of Need and the 2015 health care priorities of the Administration. On September 16, Representatives Renee Ellmers (R-North Carolina) and Jim Matheson (D-Utah) introduced the Flexibility in Health Information Technology (IT) Reporting Act (H.R. 5481), AHA-supported legislation that would give hospitals and eligible professionals more flexibility in meeting meaningful use requirements for electronic health records (EHRs) in fiscal year 2015. Specifically, the legislation would shorten the 2015 reporting period to 90 days from the current 365 for Medicare and Medicaid EHR Incentive Program participants using the 2014 Edition Certified EHR. Without this change, the vast majority of hospitals are required to meet all Stage 2 requirements on October 1. KHA is hosting its Fall Series of Congressional meetings to provide members the opportunity to stay in contact with the Kentucky Congressional Delegation and discuss important legislative and regulatory issues currently before the U.S. Congress that are critical to Kentucky’s hospitals. The nation’s health care system in the midst of change with the Accountable Care Act (ACA). Hospitals are working tirelessly to deliver quality care as they work to improve community health, patient quality and satisfaction, all while reducing costs. This meeting will provide members the opportunity to discuss issues and concerns with Congressman Ed Whitfield. The 2015 Regular Session of the Kentucky General Assembly is scheduled to begin on January 6, 2015 and will last 30 legislative days. As usual, during an odd-numbered year, in which sessions are half as long as in even-numbered years, the session will have two parts. The first four days of the session – January 6 to January 9 – will focus on organizational work, such as electing legislative leaders, adopting rules of procedure and organizing committees. The introduction and consideration of legislation can also begin during this time. The second part of the session begins on February 3, 2015 with final adjournment scheduled for March 24, 2015. Legislators will not meet in session on February 16, 2015 in observance of Presidents’ Day. The veto recess – the period of time when lawmakers commonly return to their home districts while the governor considers possible vetoes – begins on March 10, 2015. Lawmakers will return to the Capitol on March 23 and 24, 2015 for the final two days of the session. The Kentucky Hospital Association hosted a meeting on September 16 with James R. Comer, the Kentucky commissioner of agriculture, at the KHA headquarters. Comer, a native of Tompkinsville, is a supporter of small, rural hospitals and was interested in learning from the hospital administrators present, how hospitals and administration can work more closely to improve the health status of the citizens of Kentucky. The KHA Legislative Committee met on September 4 at KHA Headquarters in Louisville. The Committee is chaired by Joe Koch, chief executive officer of Bourbon Community Hospital, and assists in developing state and federal legislative priorities. The Committee then recommends those positions to the membership and the KHA Board of Trustees. The KHA membership will be asked to approve the 2015 Legislative Priorities at the KHA Health Care Leadership Conference on Friday, November 14 at the Louisville Marriott East. The Platform will then be presented to the KHA Board of Trustees for approval. The 2015 Session of the Kentucky General Assembly will convene on January 6. The Session, which will last 30 legislative days, is scheduled to end March 24. The KHA Legislative Committee will host the Hospital Day at the Legislature in Frankfort on February 26. For more information, contact Sarah Nicholson at KHA (502-426-6220 or 800-945-4542 or via email at snicholson@kyha.com). KHA's Summer Series of Congressional meetings in the congressmen’s districts kicked off Tuesday morning, August 26 in Louisville with Third District Congressman John Yarmuth. The Series provides members the opportunity to stay in contact locally with the Kentucky congressional delegation and discuss important legislative and regulatory issues currently before the U.S. Congress that are critical to Kentucky’s hospitals. With the nation’s health care system in the midst of change with the Accountable Care Act (ACA), hospitals still need help to continue to deliver quality care as they work to improve community health, patient quality and satisfaction, all while reducing costs. This meeting will provide you the opportunity to discuss your issues and concerns with your Congressman. KHA is hosting its Summer Series of Congressional meetings in the congressmen’s districts to provide members the opportunity to stay in contact locally with the Kentucky congressional delegation and discuss important legislative and regulatory issues currently before the U.S. Congress that are critical to Kentucky’s hospitals. With the nation’s health care system in the midst of change with the Accountable Care Act (ACA), hospitals still need help to continue to deliver quality care as they work to improve community health, patient quality and satisfaction, all while reducing costs. This meeting will provide you the opportunity to discuss your issues and concerns with your Congressman. maintain the ability of hospitals to contract directly with the Veterans Administration rather than require hospitals to go through a private contractor set adequate payment rates for non-VA providers (AHA supports the House language) include language to establish and implement a system for prompt payment of claims for non-VA providers There is currently no significant prompt pay language in either bill. Please contact your legislators and ask them to urge the conferees to include these provisions. See the AHA letter to the conferees for more details. Congressional support for reforming the Centers for Medicare and Medicaid Services’ (CMS) Recovery Audit Contractor (RAC) program continues to grow. Currently, 221 representatives – a majority of the House – have signed on to support the AHA-backed Medicare Audit Improvement Act (H.R.1250/S.1012). Kentucky Congressmen Andy Barr, Brett Guthrie, Thomas Massie, Hal Rogers and Ed Whitfield have all lent their support to the legislation. Now is a great time to thank those Congressmen who have joined this effort and to reach out to those who have yet to sponsor the Act. Senators Mitch McConnell and Rand Paul and Congressman John Yarmuth are not currently sponsors. For further information, please contact Sarah S. Nicholson at KHA (502-426-6220 or 800-945-4542 or via e-mail at snicholson@kyha.com). Joseph G. Koch, chief executive officer of Bourbon Community Hospital in Paris and chair of the KHA Legislative Committee, was awarded the American Hospital Association’s prestigious Grassroots Champion Award at its 2014 Annual Meeting in Washington, D.C. Each year, in partnership with the state hospital associations, AHA recognizes one individual from each state for exceptional leadership in generating grassroots and community activity in support of a hospital’s mission. KHA hosted its annual Hospital Day at the Legislature on Thursday, February 27 in Frankfort. The event provided members an opportunity to hear from legislators and Cabinet for Health and Family Services (CHFS) leaders on issues affecting Kentucky hospitals. On Wednesday at 10:00 a.m. (ET) the Senate Health and Welfare Committee will conduct a hearing for Senate Bill 119 — legislation to implement a medical review panel process for cases brought against health care providers. The goal of SB 119 is to put an end to the growing number of meritless lawsuits that increase Kentucky’s health care costs and plague Kentucky’s legal system. Medical malpractice liability has taken a significant financial toll on Kentucky’s health care providers, increasing costs for consumers and diverting critical funds away from patient care. See the fact sheet on Senate Bill for a quick overview of the legislation. For additional details, visit www.carefirstky.com. KHA publishes a Member Handbook biennially for the Kentucky General Assembly and the Kentucky congressional delegation. Updates are now available for the current handbook. These updates include newly elected legislators and the latest key committees in the State Senate and House. If you have any questions about the current legislative session, please contact Sarah S. Nicholson at KHA (502-426-6220 or 800-945-4542 or via e-mail at snicholson@kyha.com). With the Kentucky General Assembly quickly approaching, please take note of the following information about the upcoming session and KHA activities. The Kentucky General Assembly convenes for a sixty-day session on Tuesday, January 7, and will meet until adjournment on April 15. A copy of the 2014 Legislative Calendar is available at http://www.lrc.ky.gov/sch_vist/14RS_calendar.pdf.